One of the world’s best CCGs on mobile, Ascension: Chronicle of the Godslayer [$.99], is now better looking and it’s packing more content. 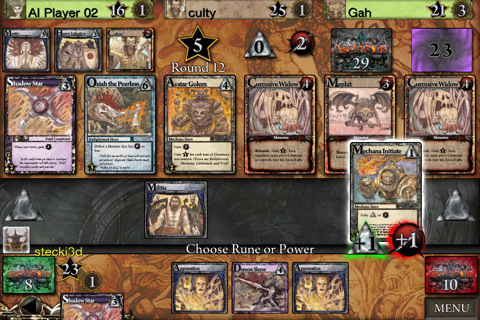 In a recent update, developer Incinerator Studios added retina support for iPad, as well as three new IAP card packs — Return of the Fallen, Storm of Souls, and an aptly named promotional pack called Promo Pack 1. It has also dropped in an “in-app purchase" manager, which allows you to restore, as well as buy, cards from within the app. If this sounds good, go ahead and update Ascension. You’ll notice some new tweaks, too: fast-app switching is now supported and a new 28-day online game timer round out what is sounding like a pretty sweet update for the game’s most dedicated fans. It’s nice when this happens, right?